Smoke Alarms Sensitive to E-Cigarettes? Will Your E-Cig Set Off a Smoke Alarm? One of the concerns of using ecigs indoors is setting off fire alarms – especially in a public place – but how likely is it that your e-cigarette will actually set off the alarm? Most modern fire alarms are designed to avoid false alarms, meaning that in the majority of cases, e-cigarettes shouldn’t set them off. Rather than producing smoke, e-cigarettes produce vapour, which fire alarms aren’t designed to detect. 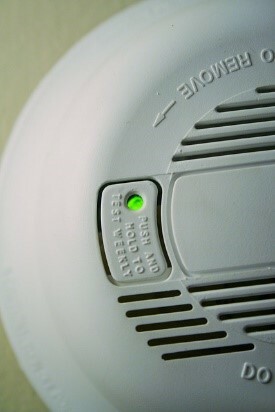 Most of the time, you’ll only set off the alarm if you vape directly into it, or blow huge clouds of vapour. However, it is still suggested that in hotel rooms, for instance, you avoid vaping as these places tend to have highly sensitive smoke alarms more likely to detect e-cigarette vapour. Smoke and fire alarms in planes are also extremely sensitive, and e cigarettes on planes are in fact banned by most airlines – click here for more information on travelling with e cigarettes and taking your vape kit on planes. One person has even spent a night in prison for setting off an alarm with their e-cigarette on a Qatar Airways flight, and, while the consequences aren’t normally that extreme, you could still easily have your e-cigarette confiscated, have to pay a large fine or be added to a no-fly list. As a rule of thumb, if you have to vape anywhere with a sensitive fire or smoke alarm, vape as far away from it as possible so the vapour has a chance to dissipate, or vape out of an open window.